There was a rich and varied cultural life in the ghetto. Education of children had the highest priority. 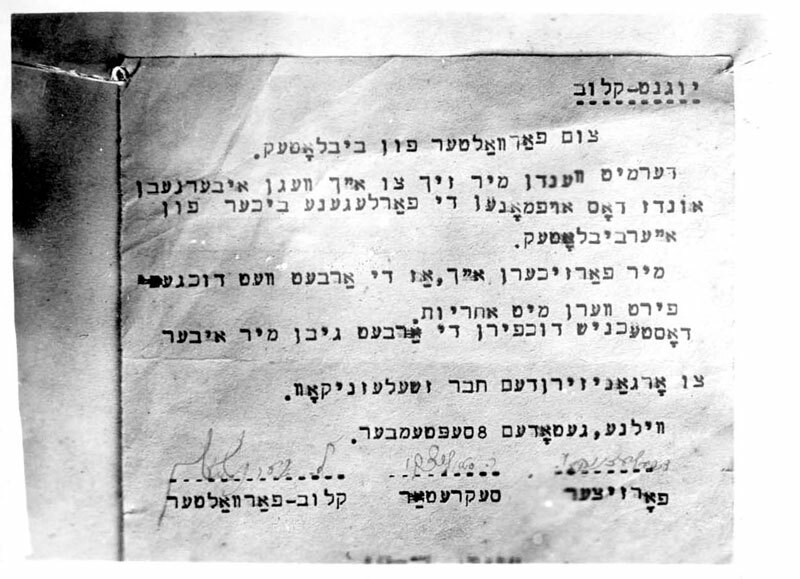 The first schools in the Vilna Ghetto were opened immediately following the forced resettlement of the Jews to the ghetto. Studies were disrupted on more than one occasion by the aktions but were renewed at the end of November. Kindergartens were established for children where both parents worked outside the home. At various periods 700-900 pupils aged 5-12 studied in the two primary schools. In the Kailis camp a primary school for about 120 pupils was established. There was also a secondary school with 100 pupils in four classes, a religious primary school with dozens of pupils and a yeshiva (Talmudic college). A teachers' association with over a hundred members was formed; lectures about education and other general topics were held under its auspices. 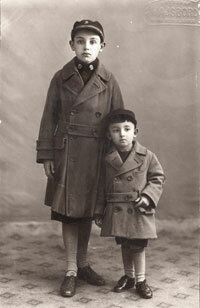 One of the problems in the ghetto was the care of orphans whose parents had been murdered during the aktions. Orphanages and day care centres were opened for children under the age of 10. "Worst of all was the fate of the young children left without mother or father, without brothers or sisters – they were so alone in the endless sea of death. Here is one of them – a boy of six. They hid him in the attic, he lay there between the rafters with strangers who gave him refuge and told himself a story aloud. He mumbled something about a small house and a warm bed, about murderous hands that took his mother and father, his two brothers and his sister. He fell asleep while he was talking; weak and exhausted. Who can remain indifferent and not become emotional when faced with a picture like that? I couldn't stay there anymore. I left the attic where the boy was sleeping and went out into the street with tears streaming down my face." 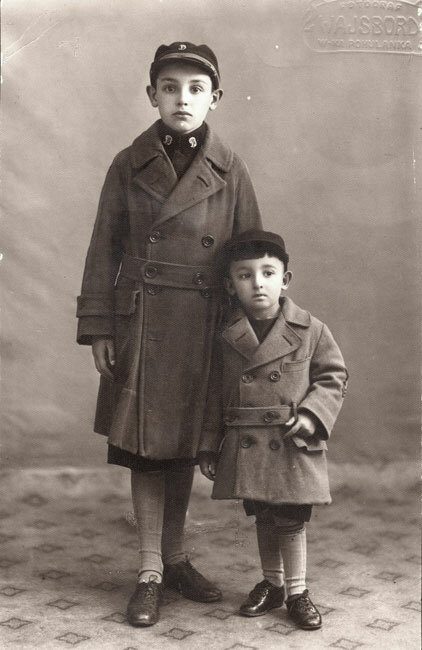 Dozens of orphans aged 9-15 roamed the streets of the ghetto in groups and stole food from houses and the Judenrat warehouses. The ghetto authorities and the youth movement members invested great effort in caring for them. The ghetto police recruited them for productive work. Under the supervision of youth leaders, the orphans took responsibility for deliveries in the ghetto and used hand carts to transport food from the Judenrat stores to the distribution points in exchange for food and clothing. The ghetto police officer Joseph Muszkat managed them and was responsible for them. They also supervised sanitation on behalf of the police and informed the police of any 'cleanliness crimes'. At the reception… there was a performance by children, most of them orphans who lived in the ghetto as "illegal children", without appropriate permits. Their performance was very impressive. Many could not restrain themselves from crying when they watched the performance by these children who did not know what childhood is. 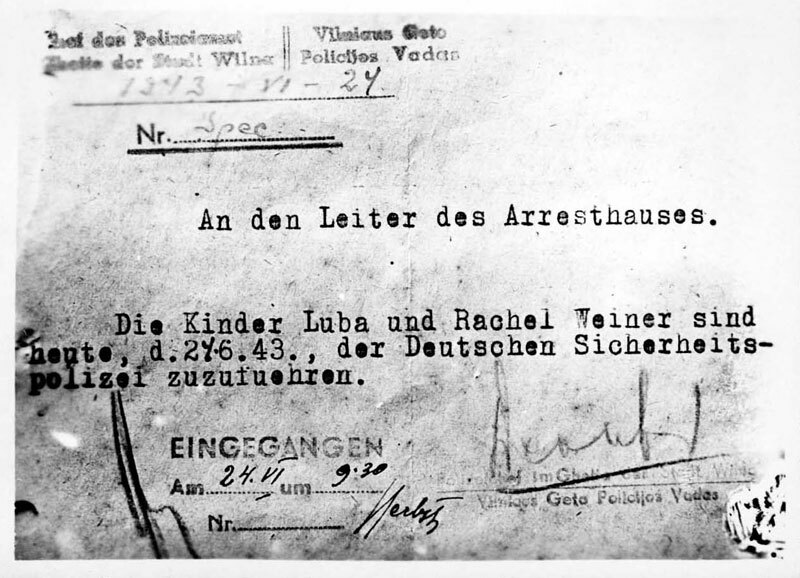 In March 1943 Gens established a central authority for dealing with children and youth under the age of 16. It was intended to supervise the children's homes, orphanages and the children who worked in various places of employment.